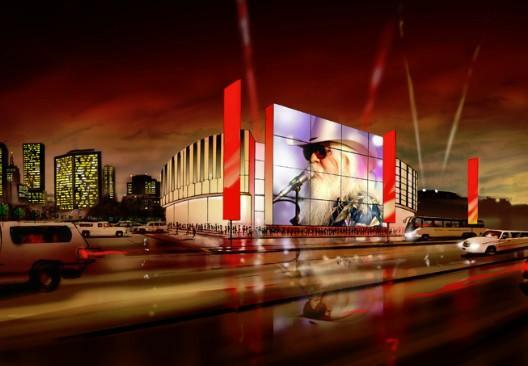 OKLAHOMA CITY (AP) — Oklahoma Governor Mary Fallin has signed a bill to approve a $25 million state bond issue to pay for the construction of a museum of popular culture in Tulsa. The Republican governor signed the bill on Friday despite opposition from some conservative groups who argue operating museums is not a core function of state government. The plan for the museum, nicknamed OKPOP, calls for the construction of an adjacent parking garage, which will generate revenue to help with the cost of museum operations. The land for the facility in the Brady Arts District near downtown Tulsa has been donated, and millions of dollars' worth of exhibits and collections have been donated from prominent Oklahoma natives like Leon Russell, Garth Brooks and others.